The High team collaborates with its retail clients and the communities in which it develops retail environments to build value for the retailer and its customers, and the communities in which they live. We have a deep understanding of the retailer’s perspective and strive to exceed their expectations with timely delivered, high-quality shopping centers in which they can do great business. 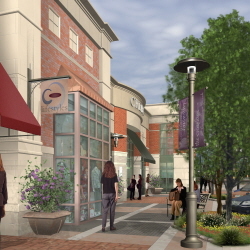 Our development projects include grocery-anchored neighborhood shopping centers and community and power centers. H. Stephen Evans is Senior Vice President and Managing Director of the Retail Division for High Real Estate Group, LLC. He leads the retail division within High and is responsible for guiding High's retail development efforts and management of its shopping center portfolio. 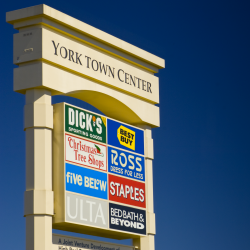 Since establishing the retail division in 2003, High Real Estate Group has developed nearly 1 million square feet of community/power shopping centers with a value of roughly $150 million. The latest development project in its pipeline is The Crossings at Conestoga Creek, a mixed-use grocery anchored lifestyle center in Lancaster, PA projected for opening in 2018. 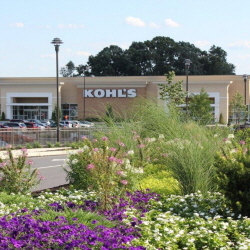 Prior to High, Mr. Evans served as Senior Vice President, Real Estate, Legal and Governmental Affairs for York, PA-based The Bon-Ton Department Stores, Inc., a publicly-traded, leading fashion department store company. 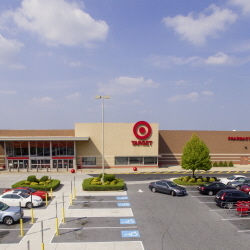 During his tenure at The Bon-Ton, Mr. Evans established its Real Estate Division and was responsible for the development and implementation of its strategic real estate expansion plan. Buoyed by an initial public offering, during his tenure at The Bon-ton, Mr. Evans led the real estate effort to grow its real estate assets to more than 6 million square feet. An experienced retail real estate specialist, prior to The Bon-Ton, Mr. Evans was with the Real Estate Department of JC Penney Company, Inc., serving in various corporate and regional positions in New York, Los Angeles, and Pittsburgh. A member of the Florida Bar, Mr. Evans holds a B.A. in Political Science from Drew University and a J.D. from Stetson University College of Law. Mr. Evans is an active member of the International Council of Shopping Centers (ICSC) and the Urban Land Institute (ULI). Mr. Evans serves as President of the Board of Trustees of The Janus School in Mt. Joy, PA.